The budget of Ukraine has lost $2.8 billion in unpaid fees and taxes from the Donbass region during the conflict in the southeast, according to Prime Minister Arseny Yatsenyuk. "We have supplied electricity and gas [to Donbass - Ed.] in winter, totaling another $1 billion. But we couldn't abandon our citizens who live there," said Yatsenyuk Sunday in an interview for Ukrainian TV. The government paid $670 million (14 billion hryvnia) in pensions to the residents of Donbass in the Kiev-controlled territories. 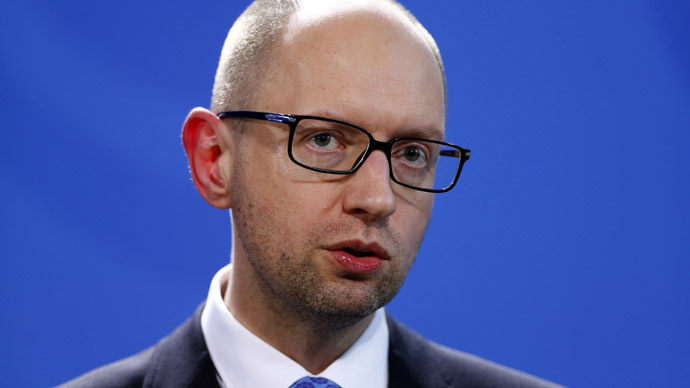 All the 900,000 retirees who fled the southeastern territories after the crisis continued to receive social payments from Kiev, said Yatsenyuk. The Donbass region has been the focus of the Russia-Ukraine standoff, with many of its citizens not recognizing the new authorities in the capital. The Donetsk and Lugansk Regions are experiencing an economic blockade. In November 2014 the Ukrainian government suspended welfare payments and other forms of financing from the state budget to the uncontrolled territories. In February, 2015 the Kiev government stopped natural gas supplies to the regions saying it was due to damage caused to the pipelines.